Manufacturer & Supplier of Railing Planter. 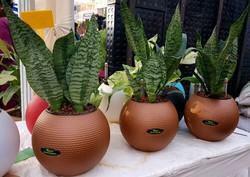 Our product range also comprises of FRP Planters and Stainless Steel Planters. We have emerged as a leading firm offering Railing Planter to our esteemed clients. 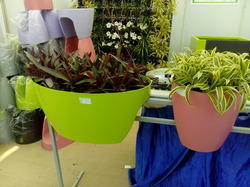 These planters are made from pure verging plastic and UV stabilize material. These are manufactured in such a a way that it can be fitted into any space of any size perfectly. Also we make use of the best materials to make this look good and provide best finishing to them as well. These can be installed easily and are known to enhance the look of the area. We are leading manufacture for small size Railing Planter. 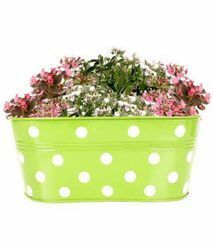 Material: mild steel Metal, It specially made up of powder coated paint for rust resistance.Each planter, having a Detachable hook, durable, lightweight.